SSGC Jobs NTS Test Roll No Slip download online from here. Test date is Sunday, 21st April 2019. The Sui Southern Gas Company was formed in 1955. Headquarters of SSGC was located in Karachi. More then 7000 employees are working in SSGC. The Company was formed to overcome the need of sui gas. SSGC owns as well as operates the only gas meter manufacturing plant in Pakistan, under an agreement with Schlumberger Industries, France. All those candidates who apply for SSGC Sui Southern Gas Company jobs. Now waiting for their test roll no slip. List of candidates for SSGC jobs test is available here. How to Download Sui Southern Gas Company SSGC Jobs NTS Test Roll No Slip ? Candidates must follow the following steps in order to get the roll numbers slip for Test of Sui Southern Gas Company SSGC Jobs. Students go to the official website and enter their id card number. Roll number slip can also be check by name. After entering name or id card number. 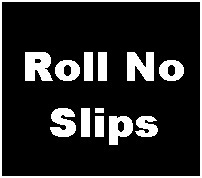 Roll no slip will be display. You can view all details about SSGC jobs test center, test date as well as test time. You can download as well as get the print of your roll number slip. Select the print option and press the (ctrl+p) and get the print of the SSGC jobs Test Roll no Slip.